I’m having a seriously bad month with losing things as now I’ve lost the cutting tool for my circle scissor plus – one of my most used Stampin’ Up! tools. For the life of me I can’t find it anywhere! I’m just hoping it hasn’t rolled off my desk and into my bin. If so, then it’s long gone with all my scraps 😦 Because I line a fine mat around my circles I’m cutting two circle the same size with my circle dies. 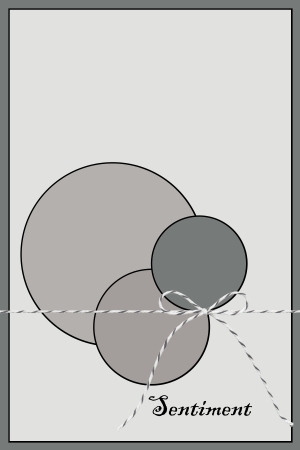 I then trim one down by hand. If my circles are looking a little off, it’s because of this. If anyone’s got any tips on how not to lose things I’d be most grateful for your help! I’m back to using Basic Black at the moment. I really like how Coastal Cabana just pops when matted with black. 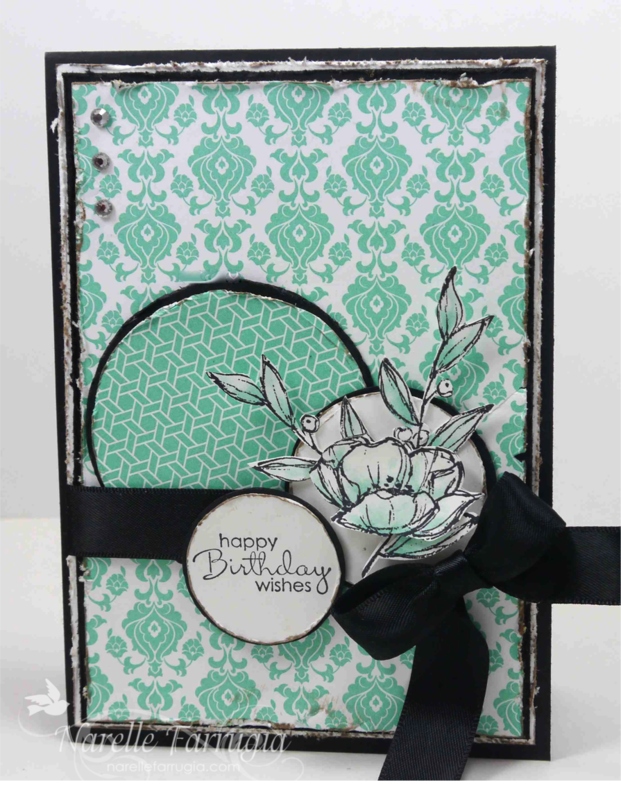 The flower I’ve used is from a Stampin’ Up! set called Simply Sketched and the sentiment I’ve used is from Petite Pairs. Head over to Just Add Ink and check out the gorgeous inspiration from the Design Team. Even though we are using the same sketch, our cards are all so very different. Gorgeous card. I agree, the black makes the Coastal Cabana pop. I love how you did the flower with the touch of color. Sorry you lost your tool for your circle scissors, hope you find it. Ha!…You make me laugh Narelle, your craftroom sounds like the black hole..:0) Too funny, can’t wait to hear next weeks! Beautiful mix of patterns, colours and striking design!